No one likes to be unprepared. We may complain about the accuracy, but we still check the weather forecast on our phone. Business partners are the same. Insights may not lead to action when the results leave business partners feeling caught in a torrential downpour without an umbrella. But you can increase insights-based decisions based on alignment of research and business objectives by getting your partners ready to expect the unexpected. How? By recognizing that they are human with expectations that can be so firmly held it is impossible for them to believe otherwise. It’s your job to provide proverbial cover and prepare them for all eventualities. After all, often it’s hard to tell the difference between good news and bad. Sometimes bad news is good news. It’s all in your perspective. Tell someone they owe the government $577 million in taxes and they hear bad news. Tell them they won the $1.5 billion Powerball lottery and they are ecstatic. See the difference? Your challenge is to create the environment and relationship where business partners understand that all news is good news. It starts by learning that different value judgements are possible for any given results and preparing your partners for various outcomes. How? You must uncover underlying or hidden assumptions and hypotheses. Use probes to identify expectations upfront. By laying the groundwork to shed light on beliefs in the beginning, you can find out exactly what it would take to disprove them. Addressing credibility issues also saves resources. If nothing could possibly disprove a hypothesis, why perform the research? Here are some ways to increase insights-based decisions by preparing business partners to expect the unexpected. Humans are meaning-making machines. We instill meaning in everything we see and experience. At the same time, we assign value judgements along with those meanings. Have you ever heard the expression, “It is what it is, and that’s all it is”? It distills the concept that when it comes to meaning, the only meaning is the meaning we choose to assign. What does that have to do with insights? A great deal. Most people don’t like surprises in business. Don’t surprise your business partners. See, as insights pros we must sometimes share learnings that we perceive as “good,” but business partners perceive as “bad.” It’s just a matter of perspective. But that difference in perspective can be the difference between delivering insights that form the basis of decisions and insights that go on the trash heap of wasted resources. If you’re going to increase insights-based decisions by aligning insights with objectives, you’ve got to be prepared to unmask “bad news” as “good news”. Let’s say your insights team was tasked with studying new packaging options. You complete the study and find that consumers do not like any of the new packaging options being explored. Now, when it comes time to deliver the report, your insights team perceives the results as good news. You’ve added value because you helped the company avoid a waste of resources and expense on packaging that consumers don’t want or like. Your perception isn’t influenced by the sunk cost of the unpopular packaging, it’s influenced on the resources saved by not launching an unpopular packaging. But your business partners have a different perspective. They’ve invested considerable effort and resources to the new packaging design options. Not only is their perception influenced by sunk cost, they also have an emotional connection to the new package design options. So, the “good news” you deliver is received as “bad news”. Instead of embracing the learnings, they complain about the study design and the participants included in the study. “It must be wrong!” they insist. You are blind-sided, the business partners are disappointed, the insights are dismissed. What a waste of precious time and resources of your insights department. Your credibility with the business partners take a hit too. The packaging problem has turned a real problem that ironically could have been avoided by packaging assumptions into the project design on the front end. The consumer product isn’t the only product with a packaging problem. So how could an insights team avoid this situation? By better preparing business partners for this potential scenario right from the start. Let’s say that the business objective of the study was “identify which one of three package designs to proceed with” and the corresponding research objective was “identify the best package design based on consumer purchase intent, shelf visibility and appeal.” With the perspective of hindsight, it’s easy to see there was a huge assumption in these objectives: that at least one package design would meet consumer needs and proceed. Sometimes its hard to see assumptions at the front end. That’s why it is crucial to spend sufficient time during the start of design and focus on the underlying assumptions that may be built into project objectives. Uncovering assumptions should be done in the very beginning, when you are still focused on the business needs. Along with defining the current situation, business objective, business decision to be made, and identifying all business units that will be impacted, probe to uncover covert assumptions as well as the overt hypotheses. Identifying underlying assumptions could be as simple as asking the business partner if they have any expectations about the results. For example, they may have intelligence from the sales team about competitive package designs that leads them to believe one or two of the proposed package designs will be preferred. The time you spend on the front end pays off on the back end with insights that get action. By probing how business partners would use the information in each scenario, you would identify a major negative reaction to scenario 3. By using the sample probes above, you can uncover business partner reaction to results before the study is even designed. That’s important. The insights team should understand why business partners won’t find results believable and find out in advance what it takes for results to be credible and believable. For some it might be a larger sample size, for others it could be a study that includes retail partners as well as consumers. These can all be included in the design if known up front. Equally important, if business partners won’t find certain results believable at all, is there any value in expending the resources on research? Be sure to ask these probes not only of your direct contact business partner, but also of other company stakeholders. You could reveal differing expectations. In the packaging example, if you were working directly with the brand team, it would have been very valuable to probe the expectations of the operations and R&D teams about the packaging designs. Having these expectations fully expressed before the study means that results can be compared to expectations to identify existing gaps (e.g., expectation that customers will like packaging, when in fact they do not) and these gaps can be addressed during analysis and reporting. 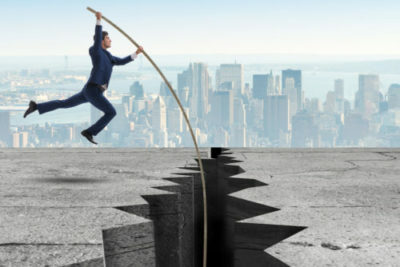 The best way to deliver bad news is after you’ve already laid the groundwork during the initial brief preparation to prepare business partners for all outcomes. You will find that even though disappointed, the team will be open to the learnings and see the value in the research. After all, in the packaging scenario, the sunk cost of poor packaging design is nothing compared to releasing the company’s product in packaging that annoys or alienates its customers. Want to Know More About Aligning Insights with Business Objectives? When insights are aligned with business objectives they are more likely be used to make decisions. Decisions aren’t made on insights because the alignment was missing from the beginning. 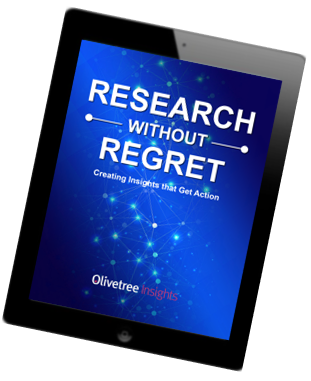 By focusing on business objectives before research objectives, you are primed to deliver insights that get action. Decision Advancer is a cloud-based productivity tool that allows you to increase the amount of time spent on strategic and consultative tasks and minimize the amount of time spent on analysis, reporting and administrative tasks. Tools inside the platform, such as the Smart Insights Brief, guide insights projects to align with business objectives from the very start.